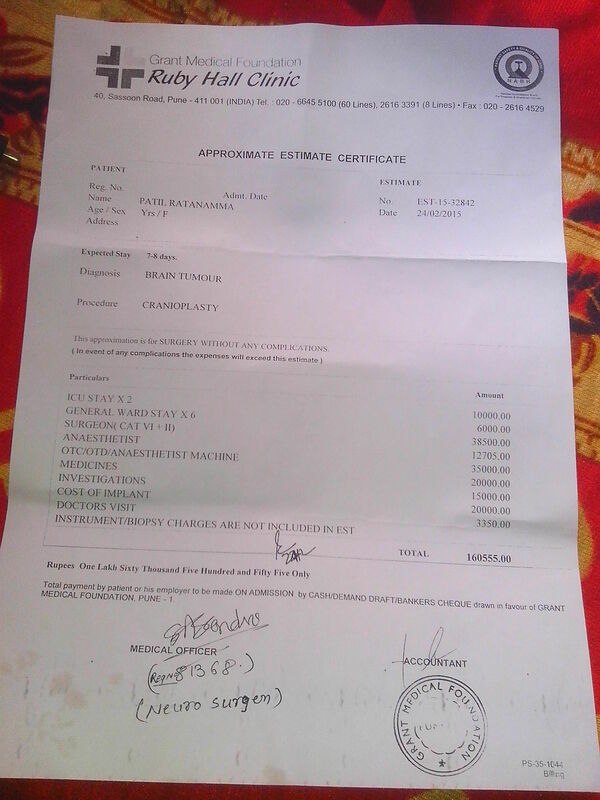 Fundraising to help Ratanabai Patil with her medical treatment. 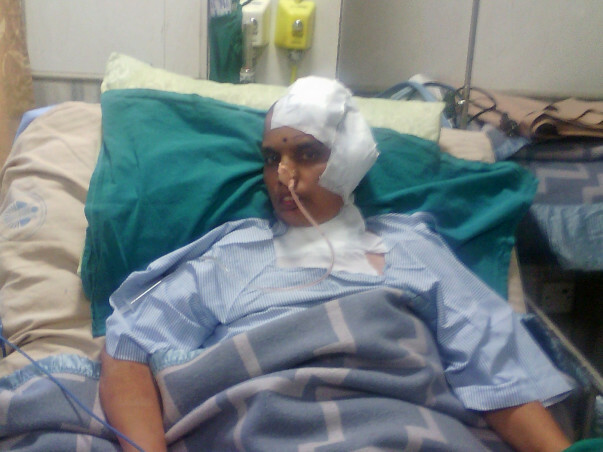 She is in ICU and cannot afford the treatment. Let's help her! 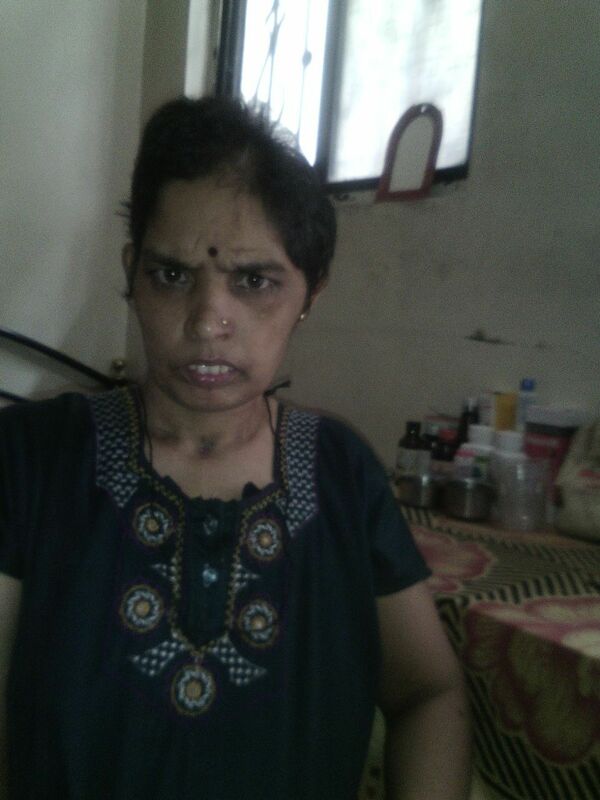 I am raising fund to support a Neuro Patient , she is from a very poor family, she is in ICU and critical condition at Poona Hospital, Pune (ICU Patient No 424). She is on ventilator through her throat. Her Name in Ratanabai Patil, and she is from a village called Salagar, Tal Akkolkot. 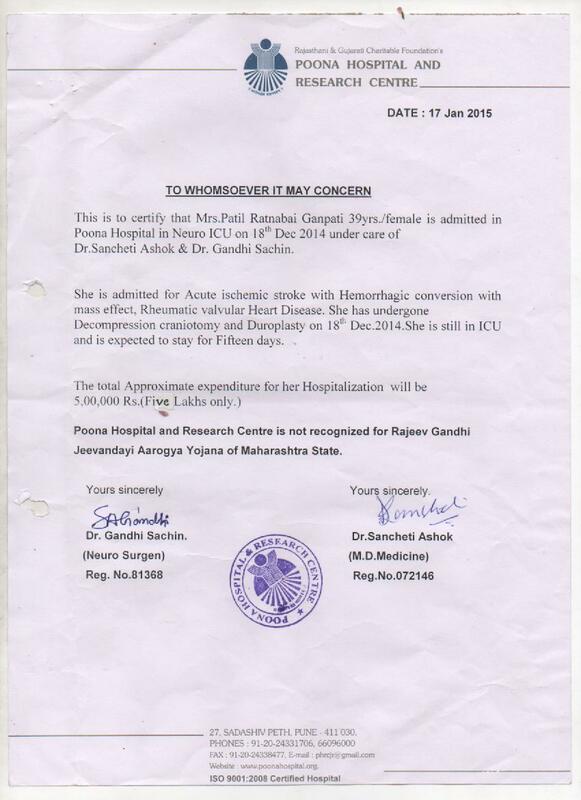 (Maharashtra), She has gone through a Brain Blood Clot surgery, due to a sever stroke and blood vessels burst in the brain. 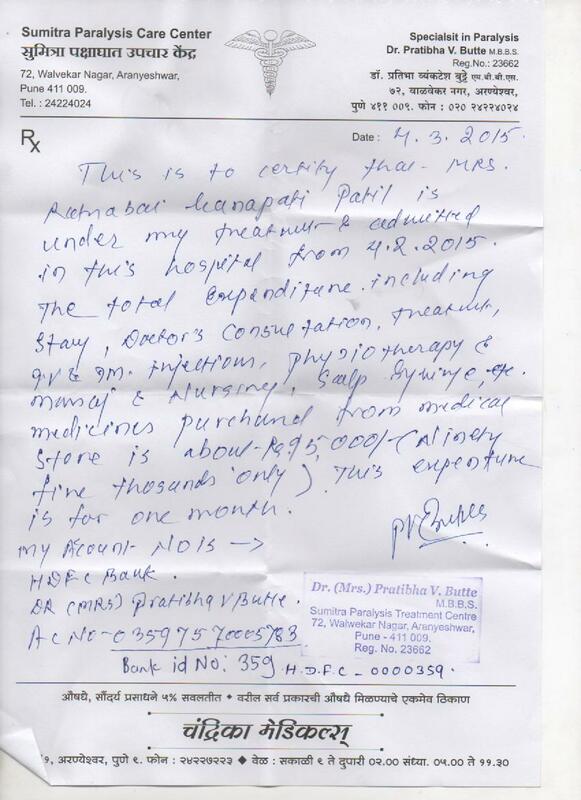 Till now the treatment has been around 6 Lacs, and the treatment is sill going on and can go for couples months. portion of her skull has still kept open as she may go for surgery one more time. Her family can't afford this huge expenses, since her husband works at construction sites and they do not have any financial support. 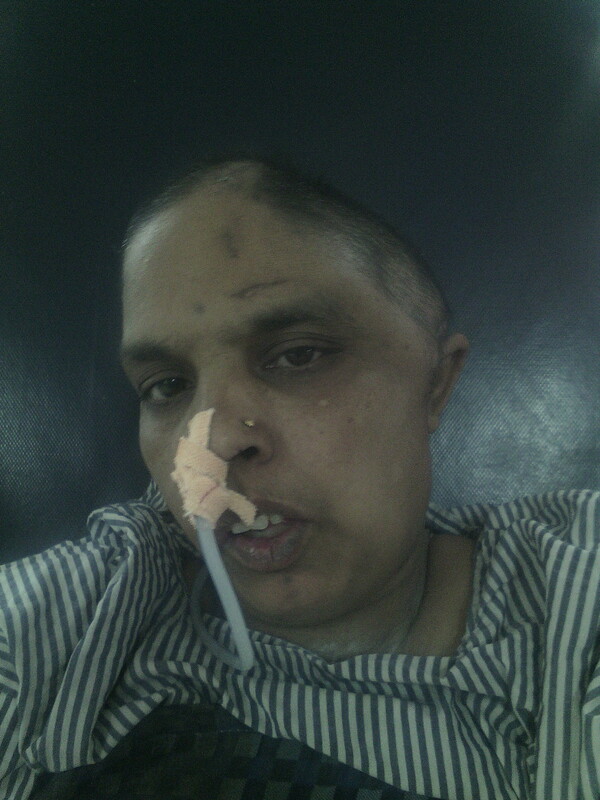 Kindly help her along with your blessing that she recovers soon from this trauma. 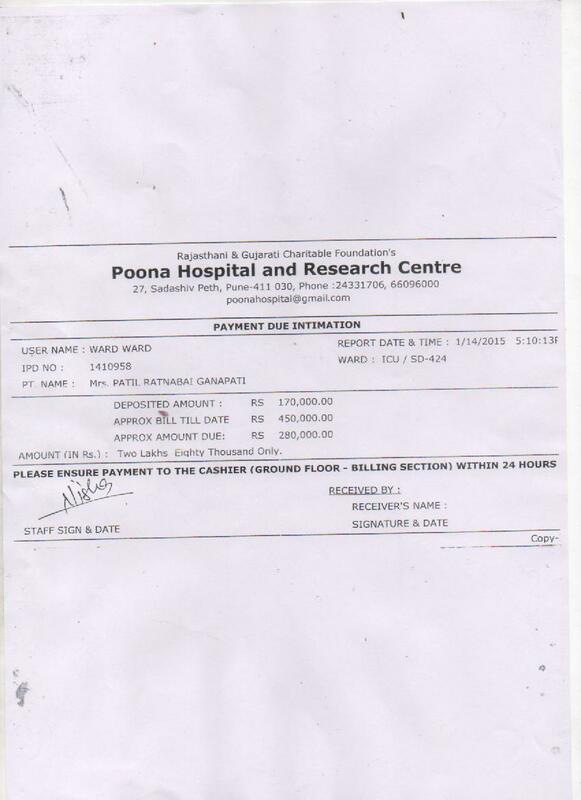 All money will be given to : Poona Hospital & Research Center,27, Sadashiv Peth, Nr. Alka Talkies Pune 411030, Maharashtra. INDIATel Nos: (020) 24331706, 24331707, 24331708, 66096000. 05/FEB/15 : she is Out of ICU and doing well her half body is paralised and temporarily moved ot different hospital for some additional treatment. Ratanabai has recovered and is slowly resuming her everyday life post surgery. 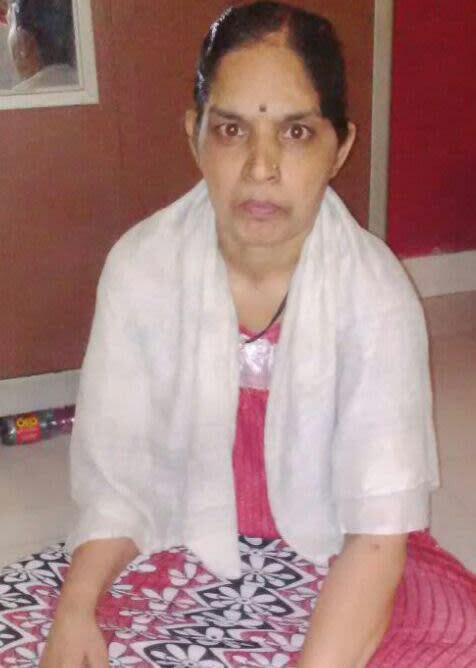 She has regained the movement in her body that she had lost due to paralysis. 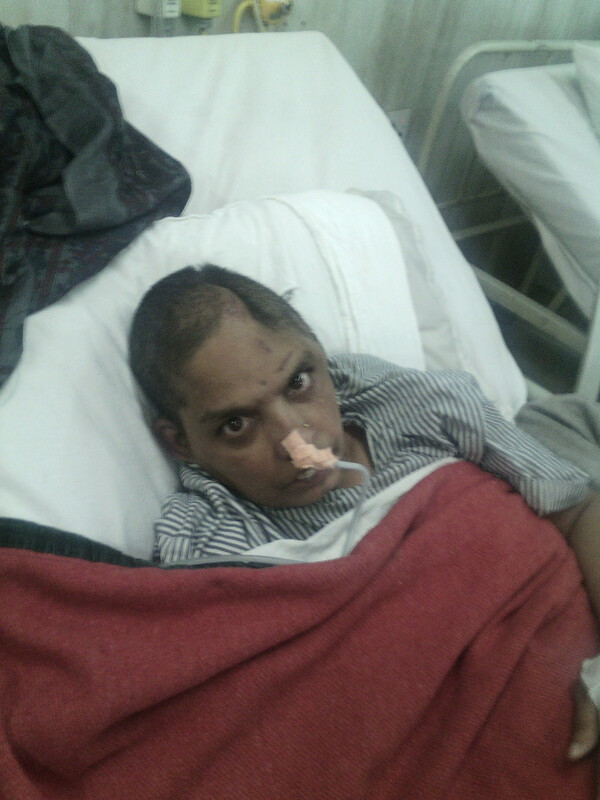 She is moving about quite well, despite of being a polio patient. She regularly goes to the hospital to check on the health of her skullcap. So far, she is healthy and is leading a normal life. Vaijanath has expressed his gratitude for your support on behalf of Ratanabai and has shared this recent picture of her with us. 27/04/2015: Ratanabai is temporarily discharged from Hospital and visiting hospital for checkups for checkups and tests. she is doing better than before additionaly she is taking treatment of Ayurveda and Physiotherapy for for her Paralysed right side body. This week she will get the date for her next operation to fix her skull. Get well soon. May God bless you. May God Bless her with speedy recovery.